Adam initially worked as an outside fee developer for Hanover Property Company for several years prior to joining Hanover full time in July 2018. Adam’s knowledge and experience working with contractors and various municipalities throughout Dallas-Fort Worth has proven to play a key role in Hanover’s success. Adam’s career started in July of 2000 with Lacy Construction. Beginning as a surveyor in the field, Adam was able to gain knowledge of different roles within the construction business from surveying, estimating, working at their concrete batch plant and finally into project management. With this experience came other opportunities in the market. This led Adam into public homebuilding where he joined Pulte Homes. Adam’s role as land manager overseeing multiple developments throughout his tenure with Pulte allowed him to understand the builder side of the business and how important time and budgets are to their success. 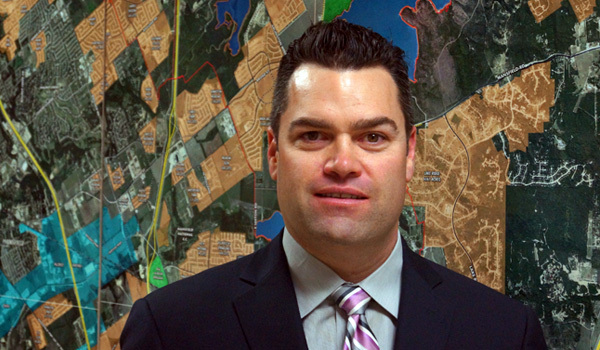 After 3 years with Pulte Homes, Adam was offered the Director of Land Development role with Beazer Homes where he worked for another 2 years before being offered the Vice President of Land Development position for M/I Homes here in DFW. With M/I being new to the market, they were interested in developing their own land but decided home building was their forte and eliminated land development in the DFW market. This gave Adam the opportunity to start his own business as a fee developer where he landed his first project with Hanover in September 2015. Adam is a graduate from the University of North Texas and is married with two children.